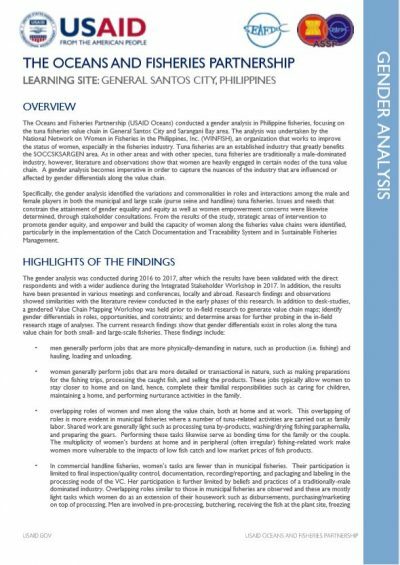 An overview of key findings and results from Oceans’ Gender Analysis in Philippine fisheries, focusing on the port of General Santos City. 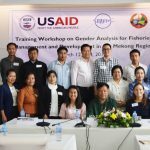 A gender analysis is imperative in order to capture the nuances of the industry that are influenced or affected by gender differentials and identifies the issues and needs that constrain the attainment of gender equality and equity. 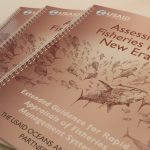 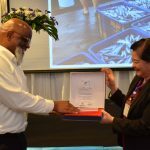 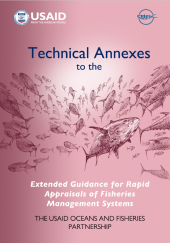 From the results of the study, strategic areas of intervention to empower and to build the capacity of women along the fisheries value chains can be identified. 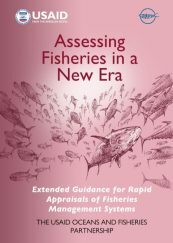 This overview provides a summary of key findings and recommendations.